With a focus on capability and versatility, the 2019 Toyota Tacoma fits the needs of a wide range of drivers. This two- or four-door pickup offers seating for up to six and a variety of cab options. Choose from eight models: 4×2 Access Cab 6A, 4×4 Access Cab 6A, 4×4 Access Cab V6 6A, 4×4 Access Cab V6 6M, 4×4 DoubleCab V6 6A, 4×4 DoubleCab V6 6M SB, 4×4 DoubleCab V6 6A SB and 4×4 DBL Cab V6 LTD SB. Sporty design for the 2019 Toyota Tacoma captures your attention with the integrated tailgate spoiler and sculpted front fascia and aggressive stance. An available hood scoop enhances the athletic image of this truck. 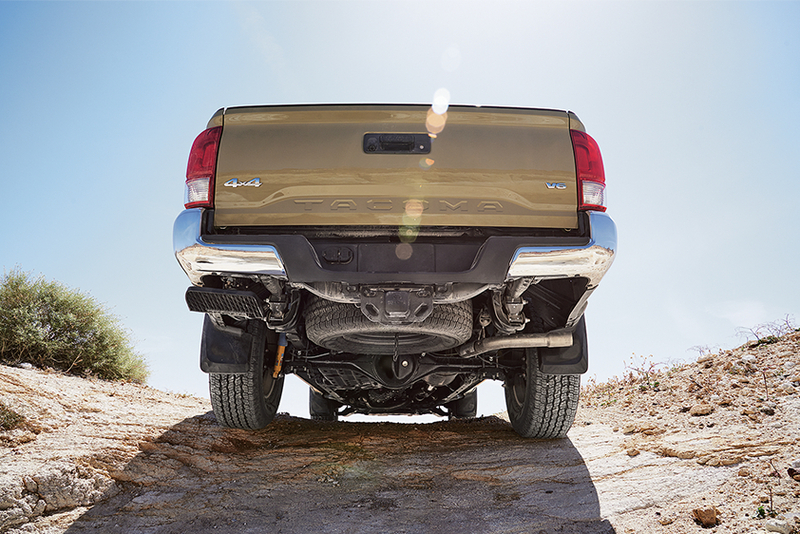 Reinforced tailgate locks protect everything you carry while being removable. Slide inside the 2019 Toyota Tacoma for a comfortable and quiet cab. Available heated front seats are sporty and offer a touch of luxury. Premium fabric or leather surfaces enhance the refinement of the space. Open up the available power sliding rear window to check your cargo or let in more fresh air. With the rear seat, you can fold it down to haul more stuff inside or lift up for extra storage under the seat. 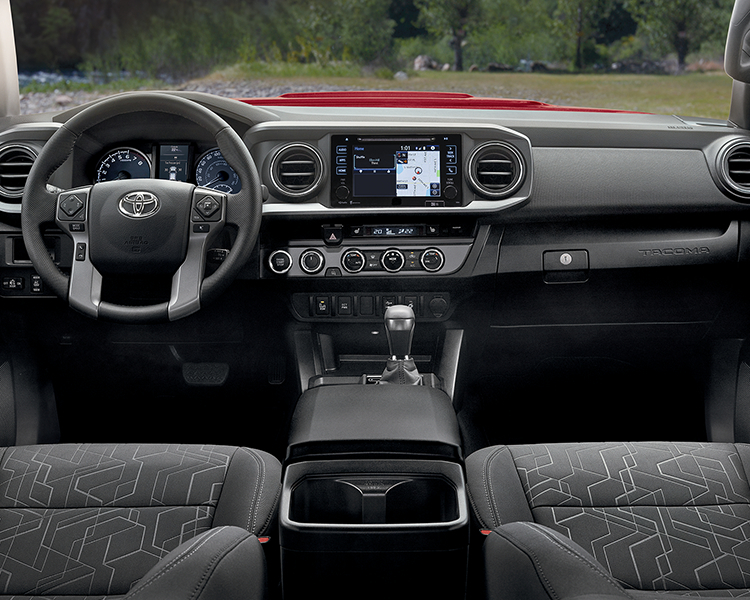 Modern technology is found on the 2019 Toyota Tacoma. With available Qi wireless charging, you can keep your portable devices ready to go with no messy cables. Utilize the cargo bed power outlet to power your tools in even the most remote job sites. 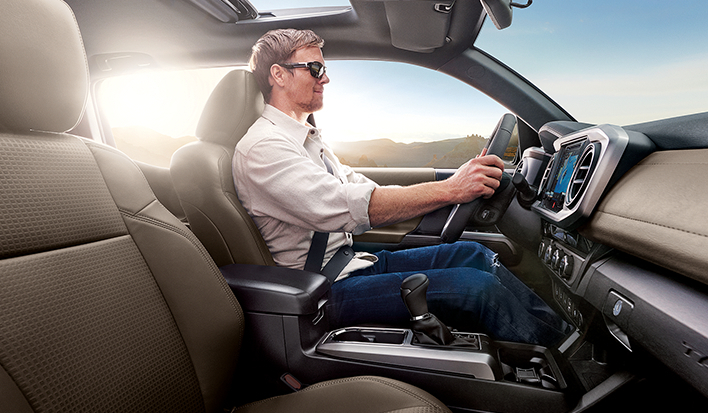 Always be informed and entertained with the touchscreen audio system with available navigation. Make your 2019 Toyota Tacoma even more versatile with the right accessories. Add the bed extender, so you have more cargo room or include a bed mat to protect the box from scratches and dings. All these accessories are designed to fit your truck and work with the systems already in place. 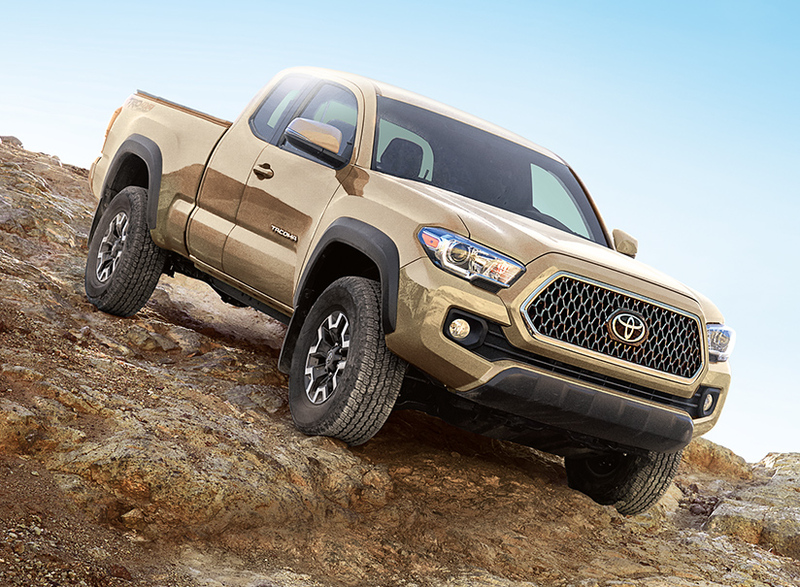 Be prepared to go off-road with the 2019 Toyota Tacoma 4×4 systems. Thanks to a locking rear differential, transfer case skid plates and Bilstein shock absorbers, you can take on any terrain. Heavy-duty suspension lets you travel anywhere with a smooth ride. You have the choice of two engines and either a six-speed manual or six-speed automatic transmission. Toyota continues to stand tall against the competition with the 2019 Toyota Tacoma. Relax behind the wheel of the 2019 Toyota Tacoma, knowing it comes with the latest safety features. You can drive with confidence since the 2019 Toyota Tacoma is backed by a premium warranty. Some conditions apply. See Gateway Toyota for full details in Edmonton, Alberta, Canada. Whether you need a truck to work hard or to take you on an adventure, the 2019 Toyota Tacoma fits the requirements. This pickup is efficient and capable while adding in a little luxury and style. Come out to your local Edmonton Toyota Dealer – Gateway Toyota to let the 2019 Toyota Tacoma impress you. Trust the sales team at Gateway Toyota to put you behind the wheel of a pickup that is right for your lifestyle. For work or for play, this truck has it all.